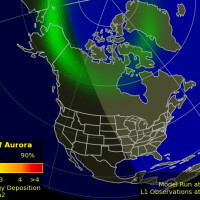 Solar wind flowing from the indicated coronal hole could reach Earth as early as July 7-8. Credit: SDO/AIA. 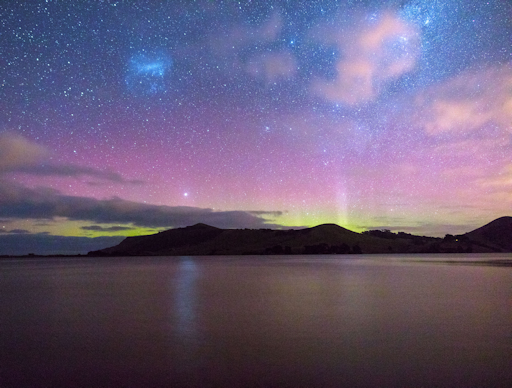 "A lovely display of the aurora australis made my evening here in Dunedin," says Griffin. "It was the perfect end to a day, which I spent touring the SOFIA Observatory, presently deployed in Christchurch!" 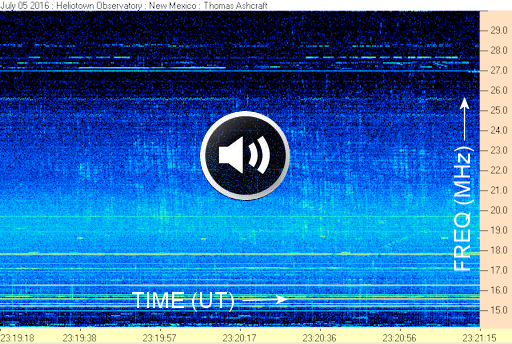 Each pop and click is the sound of a single beam washing over our planet. "The interesting thing to me," says Ashcraft, "is that unbeknownst to us Jupiter radio beams are often sweeping over us, actually washing over our bodies if we are outside at the time." 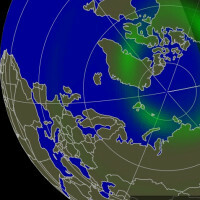 Now is a good time to listen to Jupiter's radio storms. The giant planet is high in the sky at sunset and, thanks to the crashing solar cycle, background noise is low. 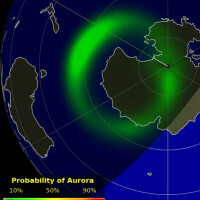 There are few solar radio bursts to overwhelm Jupiter and terrestrial stations are having a hard time bouncing over the horizon as ionizing radiation from the sun ebbs. Ready to start taking data? NASA's Radio Jove Project explains how to build your own receiver. How did it get there? Small drones can't fly in the thin air 100,000 feet above Earth's surface; their tiny propellers don't generate enough lift. 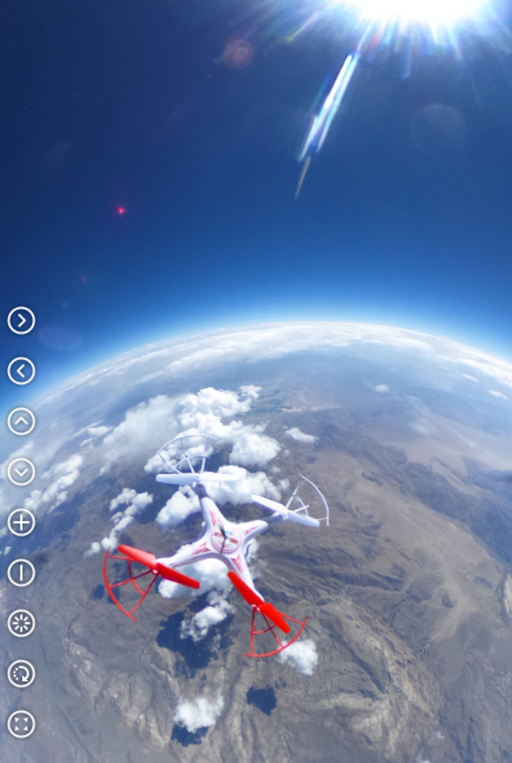 The black rectangle just above the drone is a Richo Theta S spherical camera. It's the device that photographed the drone in flight and removed the thin black rope from the scene. The fully-interactive spherical image is fun to explore! 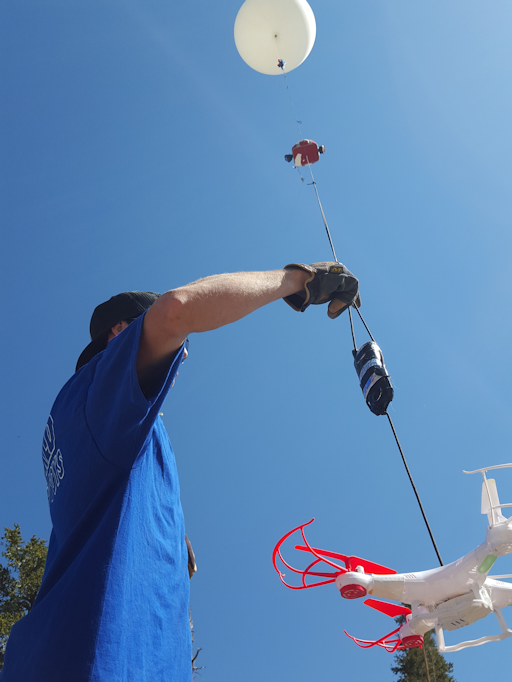 We flew this drone as a promotion for World Tech Toys, who generously sponsored our cosmic ray payload, also shown in the picture above. It's the red capsule underneath the balloon. 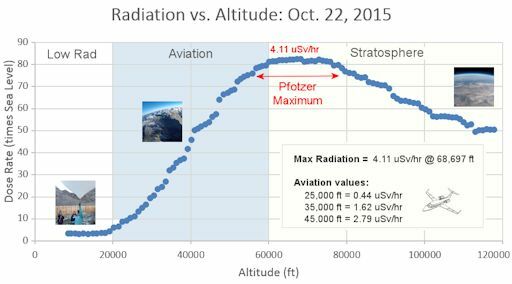 This flight and others like them are not only fun, but also they contribute to a crucial record of intensifying cosmic rays in the stratosphere. Readers, if you would like to send an item of your own to the top of Earth's atmosphere, you can book a flight with as little as two week's notice. Contact Dr. Tony Phillips to become a sponsor! On Jul. 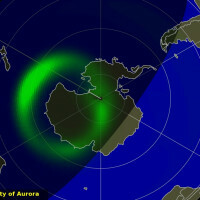 8, 2016, the network reported 15 fireballs. On July 8, 2016 there were potentially hazardous asteroids.